What every city needs - an indoor fishing shrimp farm. 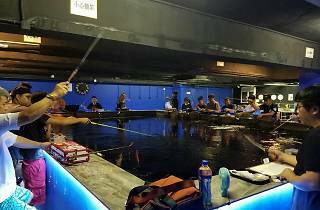 HA Cube is Hong Kong’s first and only indoor venue where people can fish for shrimps, lobsters and all things crustacean, then barbecue your catch straight afterwards. 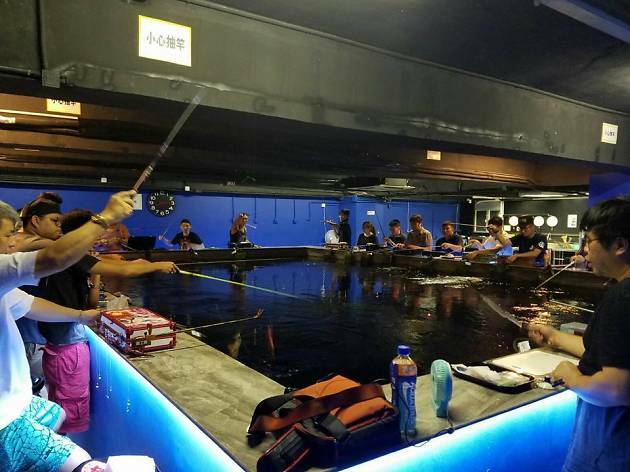 The venue provides everything from fishing rods and bait, all you need to do sit back and wait for your meal to take the bait. MTR Kwun Tong Station, Exit A2.